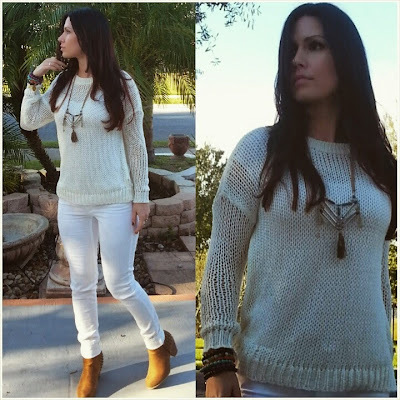 Simply Beautiful in White - Leila D.
The sweater is another fabulous find at Marshalls, so casual and chic. The necklace is from Burlington. The boots are Charles Albert.